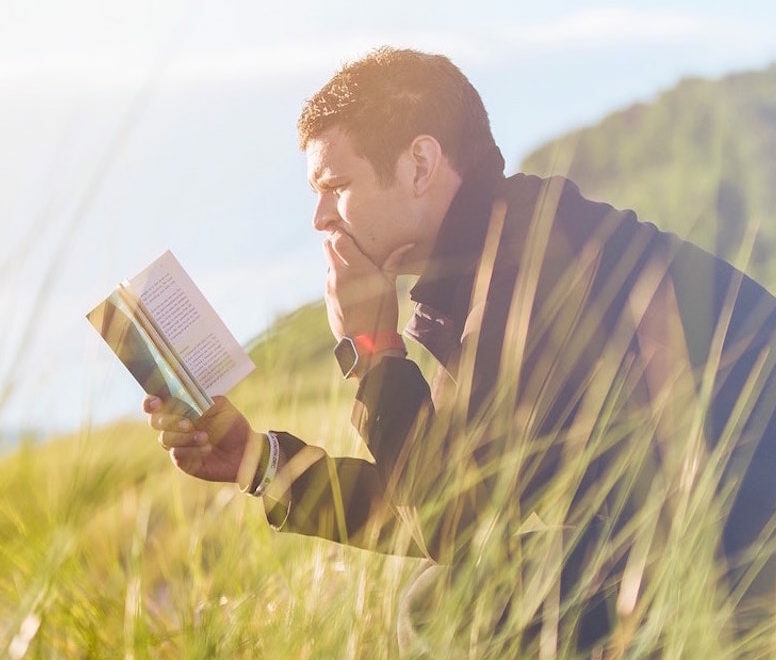 These sensational new books are a triple delight for nature lovers and wildlife pilgrims. Why wait until the festive season to spoil yourself? Wild editor Romi Boom sat down with three of the latest reads to share her thoughts. 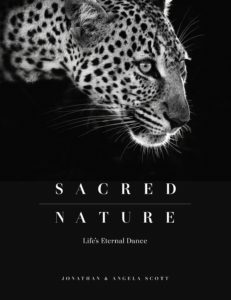 Sacred Nature: Life’s Eternal Dance by Jonathan & Angela Scott. HPH Publishing. 2016. R980. Stories of nature, stories as old as time. Stories of the savannah, where the land merges with the sky in unbroken splendour. The images in this stunning coffee-table book tell stories straight from the heart – and from some of our continent’s last wild places. It’s a hefty tome with enormous inspirational value, not only to honour that which is sacred in nature, but also to stimulate wanderlust. Jonathan Scott, co-presenter of the TV hit series Big Cat Diary, and his wife, Angela, who acted as stills photographer and game spotter for the series, have published 30 books on the wildlife of Africa, Antarctica and Alaska, yet it is Africa that is closest to their hearts. “It is the natural rhythms that permeate the African bush that we have tried to capture in our images,” writes Jonathan. The Scotts are Canon Ambassadors and the only couple to have won the prestigious Wildlife Photographer of the Year competition as individuals. 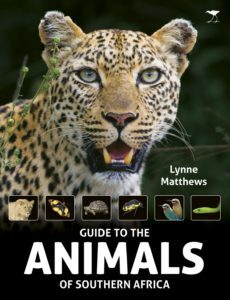 Guide to the Animals of Southern Africa by Lynne Matthews. Jacana Media. 2016. R225. Punted as a field guide that every child should take into the bush, this book will appeal to kids of all ages. I’ve been amazed and amused for hours on end, whether by the illustrations of birds’ feet shapes, or the remarkable relationships between species. Did you know that the crocodile protects the nest of the water thick-knee? In return, the bird makes loud, warning calls if there is danger nearby, such as a water monitor that digs up croc nests and eats their eggs. And did you know that platannas are smooth not only to glide through water, where they spend their whole lives, but also to help them slip away from their enemies, such as waterbids? Or that dassies have a special sun-shield layer in front of their eyes? This is so that they can look straight into the sun, as eagles often attack with the sun behind them. 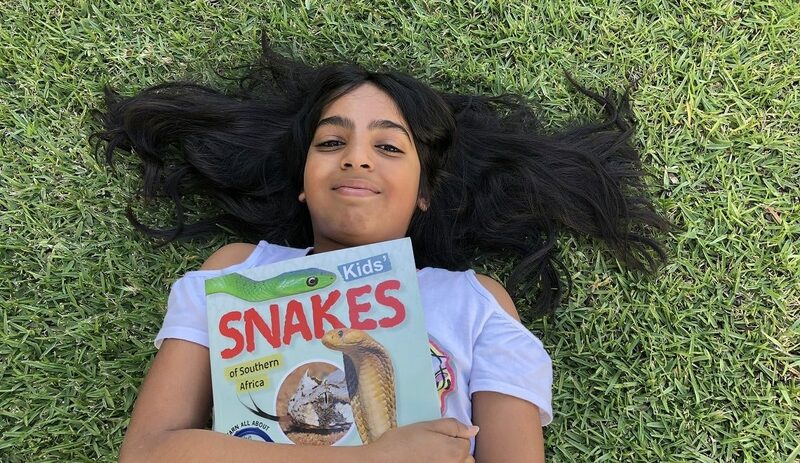 The chapters on mammals, birds, frogs and reptiles, insects and other invertebrates will entertain and inform with striking illustrations and photos. At this price, it is a steal. Marion Whitehead. MapStudio. 2016. R195. Have you started planning your 2017 flower trip? 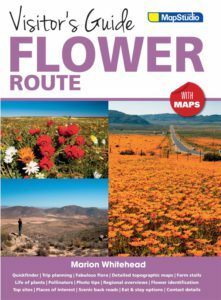 I’m already poring over the maps in this latest release from MapStudio, and reading the nuggets of information about each region including Namaqualand, the Karoo, the Western Cape and the Overberg. Marion Whitehead, well-known photojournalist and regular contributor to Wild, is passionate about all things green and blooming – and it shows in this sensible and very pretty guidebook. In addition to regional overviews, there are flower ID photos (useful if your knowledge is limited to daisies), detailed maps and suggestions for scenic back roads. 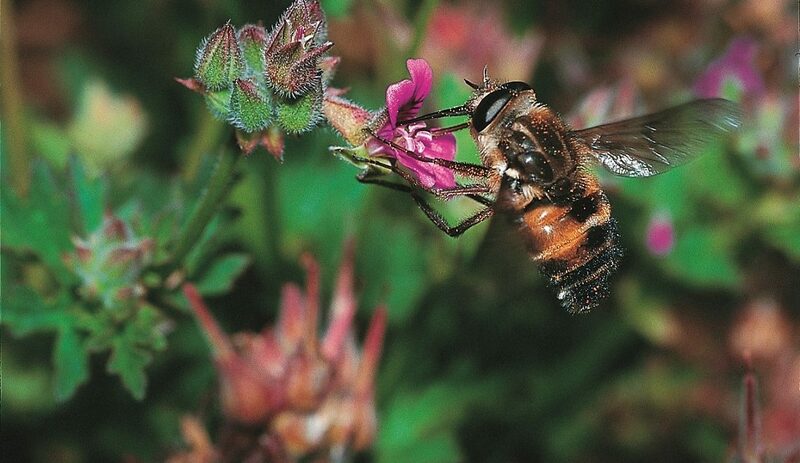 The handy tips will help you make the most of your flower-spotting efforts and improve your photography, since it’s rather tricky to capture the splendour of these beauties. If you like to stop for coffee and cake, or a wine tasting, no need to wonder where; she tells you where to support the local economy at the pick of the farmstalls. It’s impossible to know when exactly the flower carpets will dazzle, but usually you will find something gorgeous in some part of the flower route. Wherever the locals direct you, Marion will have been there. Adventurous travellers will find all the pointers they need to plan their itinerary. In Wild’s 14 December e-newsletter the Wild team will share their pick of nature books for Christmas 2016. Don’t miss this one – we will be giving away several copies of our favourites!